With the Canon imageRUNNER ADVANCE C5030 model, Canon has realized an ambitious goal. Now small departments and workgroups can enjoy stunningly simplified and productive workflow. A dramatically new platform redefines how your team will access, share, and manage communications. The smooth integration of hardware, software, and services ensures that every user experiences remarkable efficiency. Today, business requires us to do higher-quality work in less time. 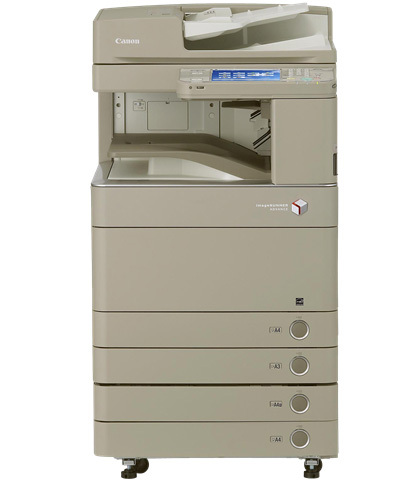 The imageRUNNER ADVANCE C5030 model features a range of collaboration tools, streamlined one-step operations for complicated tasks, and the power to perform multiple jobs concurrently - all in a compact footprint. 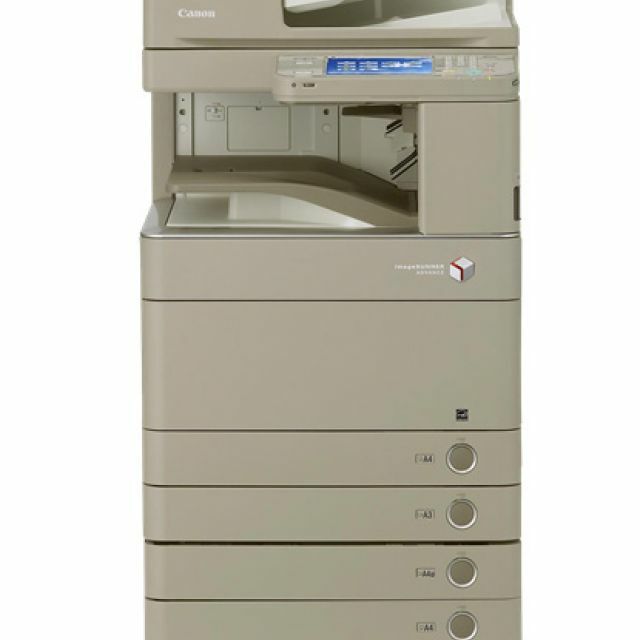 The imageRUNNER ADVANCE C5030 delivers print speeds of up to 30 ppm and duplex scanning at speeds of up to 46 ipm (simplex, 300 dpi) for letter-sized documents in both black-and-white and color. Offering standard Universal Send, UFR II Printing, and internal finishing options, the imageRUNNER ADVANCE C5030 model packs powerful performance in a whole new form. New Advanced imageCHIP system architecture uses two processors to deliver outstanding multitasking performance. "Slide and Tilt" control panel allows users to adjust the UI to a comfortable and accessible position. Rapidly convert paper documents to digital files with the 100-sheet capacity Duplexing Automatic Document feeder at speeds of up to 46 ipm (simplex, 300 dpi). A choice of modular in-line accessories makes professionally finished documents simple, including an optional inner finisher with 50-sheet multi-position stapling.